The Mexican, antojitos y cantina offers many fine traditional Mexican dishes with the real taste from México! So if you are craving for Traditional Mexican menu items such as Quesadillas, Grilled Meats, Real Tacos, Guacamole and a great Drinks menu, what are you waiting for ? We are located in the heart of downtown Vancouver on Granville Street. Spicy beef broth with crispy tortillas, cheese, cream and avocado. 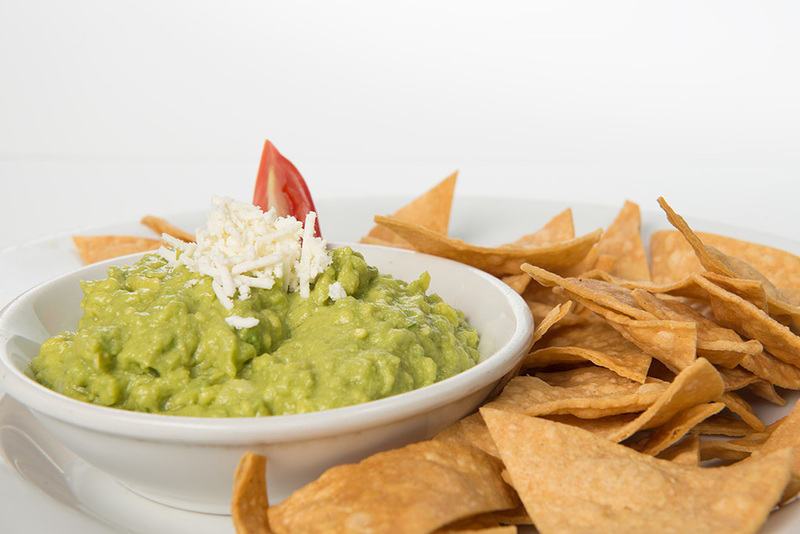 Fresh avocado dip sprinkled with feta cheese, served with crispy tortilla chips. Smoked prawns and citrus marinated scallops topped with cilantro, avocado, chipotle mayo with chips on the side. Crispy cheese with tortillas, salsa and pico de gallo. Flame-melted cheese mixed with your choice of mushroom or homemade chorizo, corn tortillas and pico de gallo. Grilled cactus leaves, melted cheese, caramelized onions with serrano chiles on the side. A sampling good for two, an invitation to share: guacamole, chicharrón de queso, fresh pico de gallo with chips, nopal salad, and your choice of two sopes or two quesadillas. From the taco shop, enjoy this great combinations ! Warm corn tortillas, with cilantro, onions and salsa on the side. Breaded top sirloin steak in a bed of red Mexican rice. Traditional ground beef with veggies. Thinly grilled pork slices in adobo sauce. Secret recipe for a tender braised pork. Oven roasted poblano peppers with a light corn cream sauce. A traditional market style fried homemade corn tortilla in a bed of lettuce topped with sour cream & feta cheese. Potatoes mixed with homemade Mexican chorizo. Mixed mushrooms cooked Mexican style. Thin crispy Tortilla with a special garnish on top. Roasted zucchini and tomatoes, beans, lettuce topped with sour cream and feta cheese. Shredded Chicken or pork, beans, lettuce and chorizo bits topped with sour cream and feta cheese. Homemade tortilla with beans, topped with feta cheese and sour cream. Shredded chicken in a light tomato sauce. Roasted zucchini and tomatoes in a cream sauce. Deep fried pork rinds braised on a red tomato salsa. Grilled mixed mushrooms, Mexican style. Potatoes with homemade Mexican chorizo. Our unique Mexican dishes... honoring the original and traditional recipes. Grilled top sirloin steak, rice, grilled cactus leaf, onions, serrano chiles, beans, tortillas and guacamole. Shredded chicken in rolled tortillas covered with your choice of tomato sauce or ancho chile sauce topped with cheese, onion and sour cream, salad on the side. 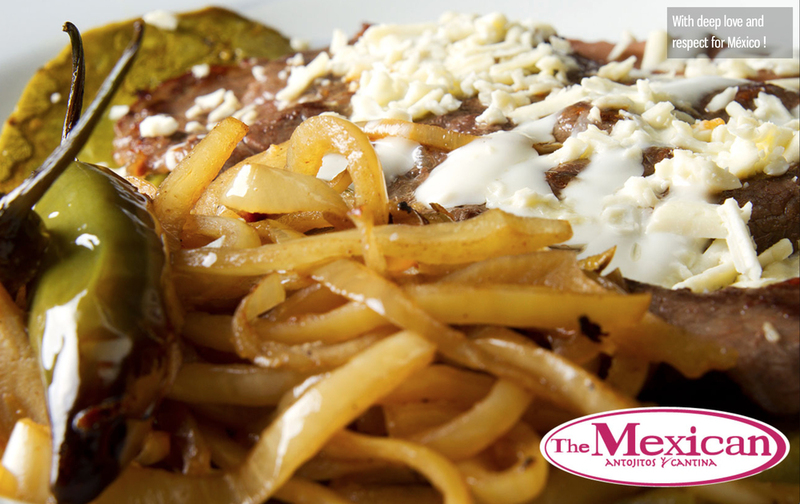 Sautéed onions, poblano peppers, ham, bacon, and cheese with your choice of chicken or beef, served with tortillas. Grilled Pork, Beef and Chorizo, with melted cheese and a secret salsa verde. Homemade corn tortilla in a bed of refried beans, grilled top sirloin steak, onions, serrano chiles, your choice of rice or cactus leaf, topped with sour cream and feta cheese. Breaded top sirloin steak, beans, salad and salsa served with tortillas. Ground beef or vegetarian stuffed poblano pepper, with rice, beans and tortillas, your choice of salsa roja or light cream sauce. Fried flour burrito filled with rice, beans, cheese and your choice of pork, beef, chicken or veggies. Cheese-filled tortillas covered with smooth bean sauce topped with cheese and sour cream, salad on the side. Braised pork sub drowned in red salsa topped with pickled red onions. Baked bolillo bread, spread with refried beans and cheese with aside of pico de gallo. Original Mexican Sides, are the perfect combination with all our dishes ! Salsa made with fresh diced onions, tomatoes, cilantro and chiles. Light, medium and hot sampling salsas with chips. Two flour tortilla with cheese and side of beans. Cucumber, tomatoes, jicama, oranges and lettuce tossed with a citrus vinaigrette. Copyright © 2016 The Mexican, Antojitos y Cantina.